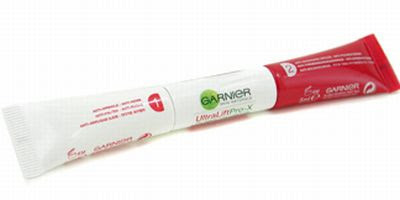 Ultra Lift Pro-X Double Action Eye Care from Garnier is a double ended pen with an anti-wrinkle cream at one end and an eye contour gel on the other. The cream: it contains a dermo-reconstructive molecule called Pro-Xylane that is said to diminish wrinkles. The gel: is a combination of Indian chestnut extract and other ingredients. It should be used in case you have bags or dark circles. I don’t have wrinkles - yet!- but since I has a teen I had problems with dark circles – I wear glasses. I’ll try the gel to see if it’s working and give my mom the other tube.